Sometimes I don't know why I wait so long to read a book. I loved Lisa Genova's first novel, Still Alice, and from the first time I read the synopsis for Left Neglected, I just knew I would love it. Yet...it sat on my bookshelf for months! Until recently that is. One day, not sure what to read, I picked it up and devoured it in a few short sittings. When I finished reading it, I was angry with myself for having not read it sooner! Maybe it's the nurse in me, but I generally love novels that have a medical aspect to them. Now, I don't want the concepts and terms to be too technical - just that right amount of fascination without boring me to death or having me roll my eyes at the medical jargon - and Left Neglected did not let me down. 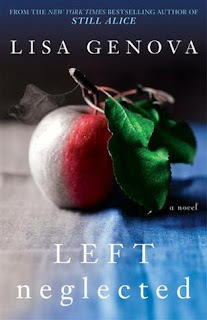 Left Neglected is the story of Sarah, a middle-aged, happily married (yes, happily! ), full-time working mother of three young children. She is one of those "I don't know how she does it" moms. Seriously, I don't know how she did it. Even though we get a good outline of her daily life in a play-by-play fashion, I was mesmerized by how she was able to do it all. But then again, I'm mesmerized by how my girlfriends manage with just one kid and no job. We know going into this book that Sarah, the narrator of this story, is going to be involved in an accident that will cause her to lose all awareness that the left side of her body exists – in other words: left neglect. Even though we know this accident is inevitable, I was on the edge of my seat waiting for it to happen. Like a part of me was hoping that there would be a different outcome- that Sarah wouldn’t take her eyes off the road for that split second to use her cell phone like she does – but then of course we would have no story. After the accident has happened, the rest of the story deals with the aftermath of surviving such an accident – and the physical and emotional trauma that can occur. I love that Lisa Genova’s books are told in the first person as it allows you to feel, see and hear exactly what the person is experiencing. It makes the experience tangible and affects you in such a way that you will never forget this book. I still find myself thinking of Sarah from time to time. The concept of left neglect is so fascinating and mind-boggling. It literally meant that Sarah had no idea the she even had a left side of her body or that anything to the left of her even existed. It was like there was no such thing as “left side” in Sarah’s world. At first, I couldn’t even wrap my head around this concept. While reading, I would find myself trying to picture myself as Sarah, lying in her hospital bed, trying to grasp the concept of “left”. Imagine trying to eat your lunch off your plate and you can only see the food on the right side of the plate. You have no idea there is even a left side of your plate, let alone food on it. Or someone enters the room you are in, but the door is on your left and so you don’t even know this person has come in until you hear them. MIND-BOGGLING I tell ya. This book easily could have been depressing and sombre and full of “woe is me” attitude, but instead, we get to read about a woman who is both strong and determined and even a little stubborn at times, learn how to adjust from the life she once knew to her reality now. This is a story about dealing with the cards fate hands you, rediscovering relationships with the people you love, and doing whatever it takes to find happiness once again. It’s a story worth reading, my friends. YES! So mind boggling! I loved this book and I love Lisa Genova. And you're right, Sarah was SO determined and strong! It was great! I honestly can't wait until her next book comes out -- it's going to be awesome! I actually think I liked this one more than Still Alice. And I can't wait to read her next one either! I'm going to bring it with me to Nova Scotia and hopefully read it then. I loved Still Alice too. They were both brilliant! 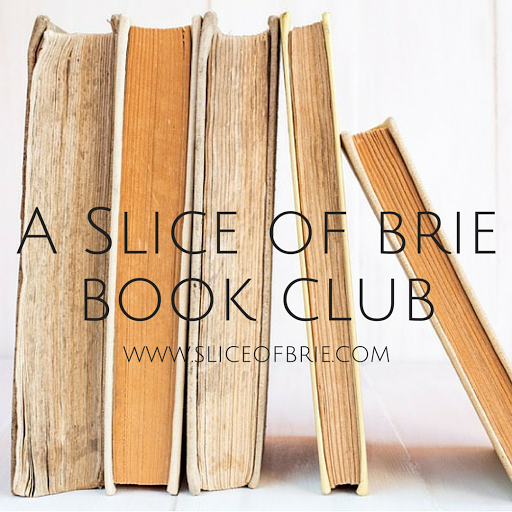 I had a discussion with my husband's cousin on FB about how she did not like this book at all. She says she felt the main character handled the life-changing situation TOO WELL and that everything was too easily tidied up. I get what she is saying, but that's what I like about this book - that Sarah was strong and resilient! I have an ARC of her new book that I hope to read while on holidays this week! I saw both Still Alice and Left Neglected at Costco the other day and was totally going to buy them both but I didn't! Now I will definitely be going back. What a crazy concept! I can definitely see how it would be hard to wrap your head around. I'm happy that this wasn't a woe is me tale as you said, I love strong girls in my story and this sounds like it definitely has that. Great review Brie! Do it! They are both so good. And yes, I agree - sometimes I want the main character to be strong and resilient, even in the face of a devastating accident. I just had this discussion on FB with my husband's cousin about how she did not like this book because the main character handled the aftermath of the accident too well. If this had been a memoir than I could have welcomed a more depressing story - but I don't always want to read about that, ya know. Strong for the win!